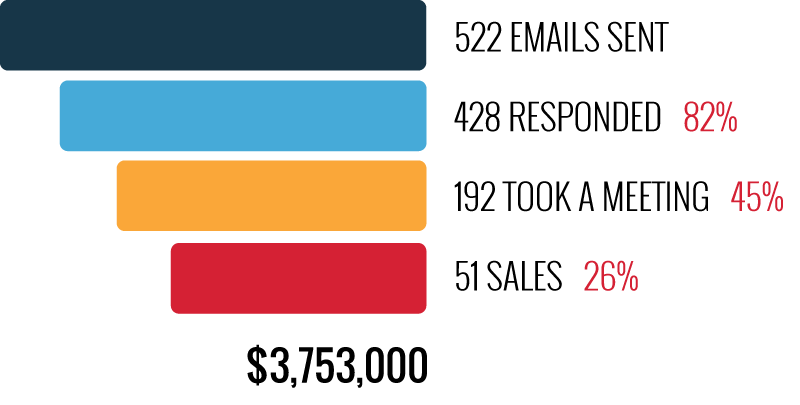 Guest Post by Jake Jorgovan, founder of Outbound Creative and Prospect Scout. We find a prospect who would be a perfect fit and craft the perfect email sequence to catch their attention. We follow up once, twice, three times, eight times or more with still no response. You could give up, but for you this prospect means something. Maybe you are in a finite industry with a limited number of prospects. Or, maybe this is a dream client that would be your largest sale of the year. In this post, I am going to share with you the lessons I have learned from running an outbound sales company and what to do when your prime prospects are unresponsive to your emails. The first thing you must do before considering any of the other suggestions in this post is to evaluate your approach. Chances are, if you have gone through a full series of follow ups and are still getting no responses, then your approach may be flawed. To analyze your approach, first check out Ryan’s book on Cold Emailing and how to reply your cold email replies. Also, I would recommend Jill Konrath’s incredible book Selling to Big Companies to give you more insight to how these decision makers think. Does this email catch my attention from the first subject line? Does this email come from someone credible? Is answering this email going to benefit me or the salesperson sending it? Does this email clearly and concisely demonstrate the value that I will receive in my business? Does this email intrigue me? Does this email sound canned? Is the request at the end of this email clear and simple to fulfill? Analyze your email against these questions in the eye of your receiver, and you may just find the lack of response has been in your approach all along. The truth is that in today’s busy world, many people have grown to hate their inboxes. Recently, I sat down for a working session with one of my clients who is the CEO of a rapidly growing company. Yep, over 3,000 unread emails in his inbox. Seeing this gave me insight into his world. As the CEO of a multi-million dollar company, he was simply overwhelmed and only had the time to answer the absolutely essential emails. He is what Jill Konrath calls ‘A frazzled customer’ and in today’s digital world, more and more customers are becoming just like him. This means that sometimes, email just doesn’t cut it. Well, it often depends on the client so you may have to try several different avenues. This is an obvious one and it is where most salespeople start. Sometimes this works, but the truth is a lot of people aren’t active on their LinkedIn. As salespeople, we struggle to believe this because we are on LinkedIn everyday, but for decision makers who are not in sales, they may only check this platform once a month and have turned off email notifications. Linkedin is a powerful tool, but be aware your message may never even make it to your decision maker. It is pretty easy to tell if your decision maker is active on twitter. If so, this can be a good channel to build some initial name recognition and get in the door. Start by browsing through their feed and look for tweets you can favorite, retweet, or reply to. Look for something that you can play off of to start a conversation. Asking a question is always a great way to get engagement. There is no magical script to this, just try to get them engaged and start a conversation that you can eventually grow into something bigger. If your prospective customers have Instagram accounts for their company or they are publicly active with their personal accounts, then direct messages on Instagram can be extremely powerful. With Instagram, you can record a 15 second video for the prospect, and send a message of unlimited length. The prospect doesn’t even have to be following you. When you do this, it does go to an ‘Other’ inbox for messages from people they don’t follow, although they still receive a notification and will get your message. I have used this tactic time and time again to break into consumer facing brands and up and coming startups. Especially if you are in marketing, this can be a great way to get through to the marketing team. Often you will find that a marketing manager runs their Facebook page and is responsible for many different aspects of the company’s marketing initiatives. It’s worth a shot as you will be surprised as to what comes from it. When you send your message, refer back to the same cold email practices I mentioned earlier in this book. If you don’t catch their attention, then it will still fall on deaf ears. Oh, and don’t send your decision maker a personal Facebook message unless you already know them, that’s just creepy. This method should only be used in the case that you have had some engagement with a prospect and they have now gone cold. Warning: Do not do this with a prospect who you have never spoken to yet or they have not given you their phone number. Texting should be reserved only for situations where you have had a phone call or been given the prospect’s phone number. Warning: If you jump the gun on this contact method, you may come off as a bit of a stalker. But for prospects with whom you’ve had contact, this can be a great way to cut through the clutter and get their attention. Establish credibility in the first 1-2 sentences. Demonstrate the value you can bring to the prospect by projecting what you believe you could do based on your research, or by sharing success stories from past clients who were similar. Make a simple ask for a 5-10 minute meeting to talk further. These personal videos take time, but this is a step above and beyond that can win the decision maker over. I had a prospect go cold on me after some initial interest. Ten follow ups and I heard nothing back from him. 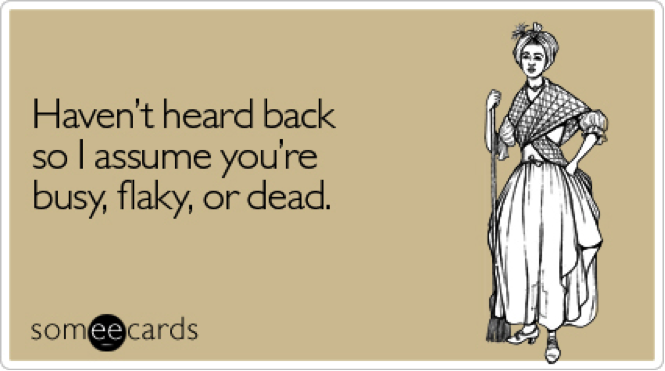 So one day, I sent him the card below. Within 20 minutes he had replied and introduced me to the person I needed to talk to in order to move the sale forward. Sometimes you need to do something a little different to catch your decision maker’s attention. If this prospect really means that much to you, then you may have to go above and beyond digital outreach. At Outbound Creative, this is what my company specializes in, and it works wonders. We operate on one core principle: If you want to get someone’s attention, stand out and be unique. For one of my clients, they had a prime prospect who was unresponsive to emails, LinkedIn and social media. That custom URL took the prospect to a personal landing page with a personal video made just for them. We used the script described above from the Jill Konrath’s voicemails, and it worked wonders. 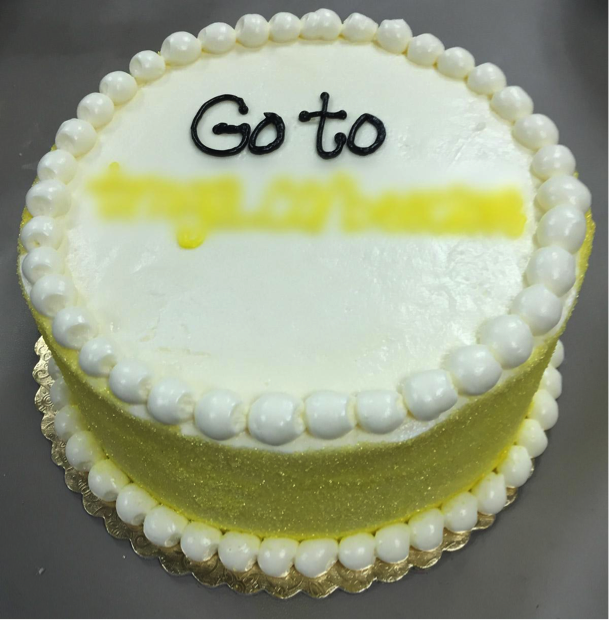 Within 48 hours of receiving the cake, we had a positive response from the CEO of the company and were introduced to the individual they would be working with. Digital didn’t work for this prospect. In a world of so much noise, their messages didn’t cut through the clutter. One of my best clients to date came because I had a bit of fun with reaching out to them. The client was an expat living in Japan who had a very profitable and growing business. I wanted to win him as a client and knew he had a decent sense of humor. 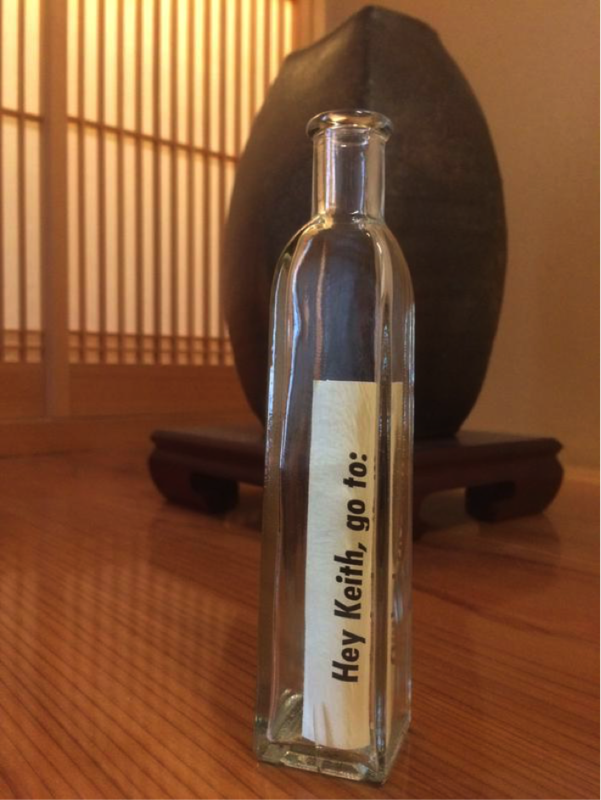 Keith was blown away. This video lead to a great phone call which lead to Keith becoming a paid client of Outbound Creative. There are many reasons why your prospects may not be responding to your emails. First, check your messaging to ensure that your value proposition and messaging is worthy of a response. If you are confident in your emails and still see no response, begin trying other forms of digital engagement. And lastly, if you still have no response but want to win their business, try a physical package and stand out and be unique. Some clients will still resist, but if you hit them from all of these different angles you have a better chance than just relying on email. Break from your normal routine, and try something different this week. Because if you want to win someone’s attention, stand out and be unique. Jake Jorgovan is the founder of Outbound Creative and Prospect Scout. Outbound Creative helps agencies win their dream clients through eye-catching outreach. Prospect Scouts helps sales leaders close more deals by researching prospects for them. You can spend all the time in the world building the perfect list or creating a solid outreach campaign, but if your emails don’t get delivered you’re dead in the water. Even worse, sometimes you don’t even know that your emails aren’t getting to the inbox. In this post, you’ll learn how to identify, fix, and prevent any issues with getting your emails delivered every time. STOP now and go read this awesome post by our partners at Replyify. GlockApps Spam Test to run your subject lines and email’s content through the app to ensure your emails get to the inbox of your subscribers. Content filters inspect text, domains, links, and images in your email to determine if your message should be sent through. 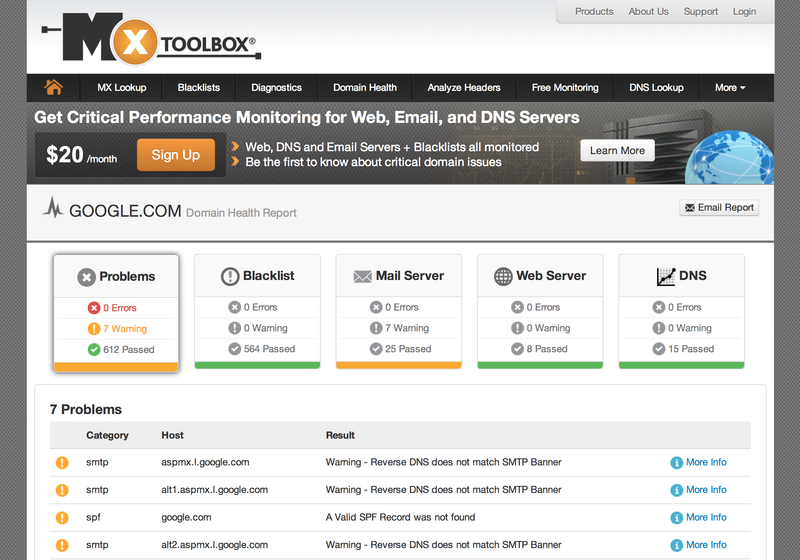 They also check the history of your domain as a sender including complaints, blacklists, email engagement. If you have any black marks against you, and aren’t sending more than 50,000 emails a week, the best way to get back to good is to follow the Do’s and Don’ts laid out below. Recipient’s Email Address Does Not Exist: Time to check your email and make sure it’s valid. Recipient’s Mailbox Is Full: Recipient’s inbox can’t receive even one more email or it will pop. EMail is ‘Blocked’: “Blocked” servers restricts or block the incoming email messages. Message Size Is Too Large: Hopefully you’ve learned not to send large files before you have engagement. Poor Sending Server Reputation: It’s like showing up at Oakmont wearing jean shorts and a tank top. SPF and DKIM will help establish you as a valid, non-spammy sender. Blacklisted IP Address: An IP address is likely randomly assigned to you from your email provider. That IP carries a reputation accumulated from everyone else who’s also been assigned that IP to send emails. Mailbox Is Unavailable: This is typically due to the recipient’s mail server’s spam detection blocking you. Relay Denied: This is generally due to an email account misconfiguration on the recipient’s side. If managing the reputation of your IP Address isn’t enough, Domains and URLs have their own reputations. A domain blacklist (DBL), also called Uniform Resource Identier (URI) blacklist, looks at the each domain within the email and provides the recipient with an extra layer of protection. Internet Service Providers (ISP) try to determine your identity and the legitimacy of your email. At the very least, set up DKIM and SPF so the ISP can cross reference your information and feel more confident about letting your message through. If you don’t have DKIM or SPF, set them up now! DKIM associates a domain name to an email message to create a digital signature. 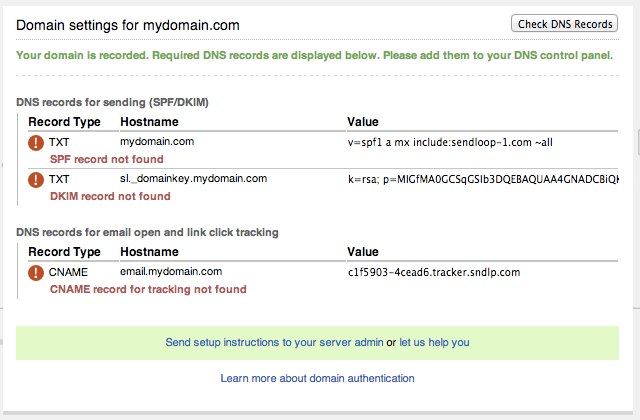 Easy as adding a snippet of text in the DNS. Ask your developer, it’s a 5 minute project. Be consistent! Send emails on a regular schedule, but don’t bombard the recipient. Double Opt-Ins = sending a confirmation email to the new subscriber asking them to confirm their email. Include a specific Call To Action (CTA). Send re-engagement emails every 6 months (at least) and ask for feedback. Ask your subscribers to white list you by adding your email to their address book. In gmail, a ‘reply’ automatically adds you to their address book. Alternatively, ask them to reply to you to get bonus content, like an ebook. Create a subdomain and use it only for email activity. The subdomain will allow for domain-specific monitoring of your IP reputation which can help you get around domain-based certification filters and avoid harming the deliverability of your transactional emails. Alternatively, use an alternate email domain like a .co or .net to separate marketing from sales emails. Filter your email list by the origin of the email address. Contests or promotions can spike your acquisition rates, but these folks could be just out to get something free, and are the least likely to engage with your over the long term. Include branding in your ‘Name’ to add familiarity to the recipient when they see your message. (Ryan from SellHack). Follow the CAN–SPAM Act guidelines. Check your grammar and spelling. This is a components of your spam filter score. Use the recipients first name. It signals to the spam filter that you actually know the person. If you are sending from an app that sends from your Gmail, be aware of sending restrictions and limits. (you can tell a 3rd party is sending from Gmail when you see “sent on behalf of” or “sent via” in the email headers). Use “plain text” but if you have to use HTML, make sure it looks and feels like your website. Monitor bounces and have a process from removing them from future campaigns. For new signups, send a welcome message and set expectations for what you will be sending and how often they should expect to hear from you. Trade an early unsubscribe for a Spam Report in the future. Don’t use spam trigger words in the subject or body. These words are easily flagged by filters routing your message to the Spam folder. Don’t send cold emails with the same platform you use to send newsletters and transactional emails. Don’t send emails with a high image to text ration. Even better, don’t include any images if you can avoid it. Don’t use URL Shorteners. If you want to track your links, hyperlink text and include custom UTM Parameters so you can track in analytics. Don’t try to hid your unsubscribe links. Don’t use ALL CAPS in your email or subject line. Avoid overusing of weird characters. Jury is out on emojis/glyphs but lots of folks doing it. Don’t include attachments. Rather, link to landing pages. Don’t freak out over soft bounces. Typically this is due to a technical issue you can’t control at the receiving mail server. Don’t use the word ‘Dear’ or a generic salutation. So, how do I avoid hard bounces? Most experienced marketers know how important it is to sanitize their email lists. People change jobs every few years and if you have been in business for a while chances are a lot of your subscribers are going to be lost. Don’t let a large campaign with a high bounce rate affect your company’s email deliverability. Sanitizing your lists is inexpensive and quick relative to the cost of impeded delivery or the time it will take to build up your sender score. Whether you are an existing SellHack client or just finding us for the first time, cleaning your email list is easy. Domain appears to be accept-all; verified pattern match – This domain is an Accept-All, but SellHack goes further than any other validator to provide a response ‘pattern match’ where we have a statistically relevant number of VERIFIED emails at this domain which all follow the same pattern. A valid email, send away. Domain does not accept emails – These are typically associated with Temporary/Disposable email addresses or someone who didn’t want to be added to your list and entered a bogus email to get access to your content that was gated with an email address. DELETE this email from your database. Provided email format is invalid – Most likely your email capture form was not configured correctly and allowed the subscriber to enter incorrect/partial information often forgetting the ‘@’ or ‘.com’. DELETE this email from your database. This email address is invalid (hard bounce) – This email address is not valid and will bounce if you send to it. 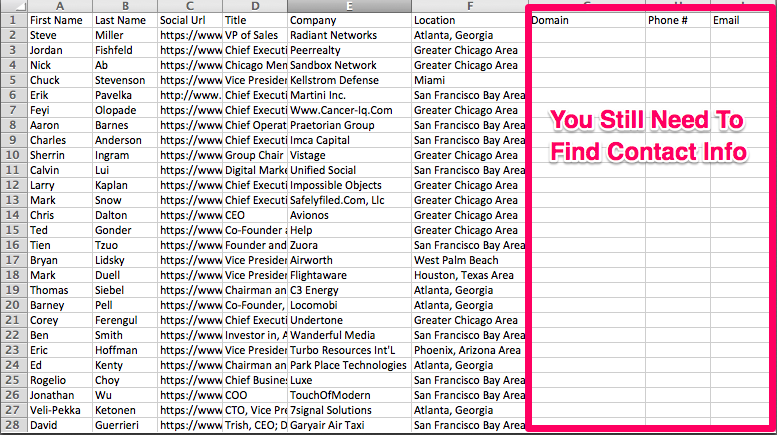 DELETE this email from your database, and use SellHack to go find where the person is working now. This email address is valid – Yay! A valid email, send away. Wasting time on the wrong prospects is the original sin of sales. Time is the most valuable asset you have during the course of your working hours. Wasting time on the wrong prospects, is the original sin of sales. Assuming you are building prospect lists that meet your Ideal Customer Profile (ICP), the only reason you should hear any of the responses above is if there is a breakdown in your qualification process, or worse, you don’t have a qualification process (more on this in a future post). Time to go back to the drawing board and reevaluate your ideal customer profile (ICP). I see a lot of people get caught up here following traditional, prescribed ICP practices of spending (IMHO) too much time on the wrong aspects of describing your personas that make up your ICP. Your inner-therapist must deduce the ins and outs of what problems plague your prospective customers. A VP at a 10,000 person company cares about different things than a VP at a 50 person company cares about. 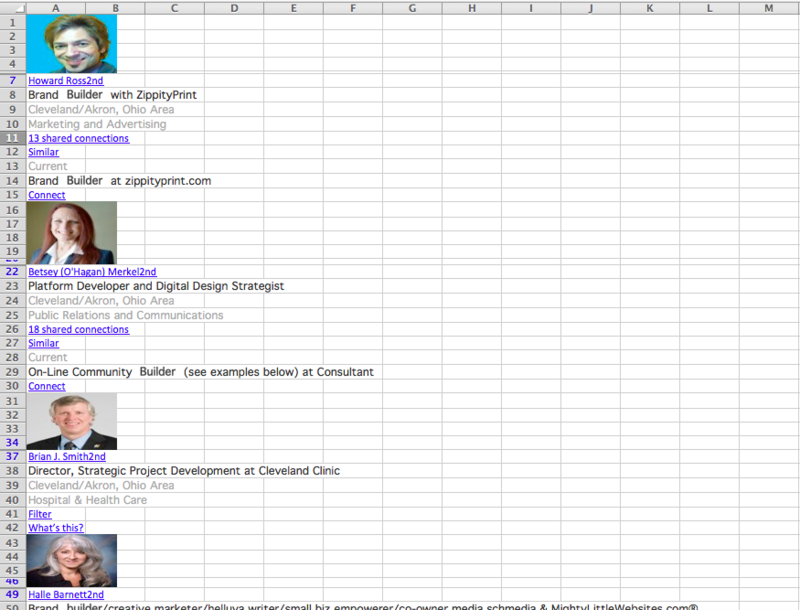 They need to be segmented into separate buckets and your messaging strategy needs to be adjusted to each group. Let’s break down each into key components to help you decide which segment to target to maximize your time. Bigger revenue opportunity if you can weather the storm and less risk of churn since they are going out on a limb to ‘approve’ your offering and there are significant internal time investments that must take place to roll this out. Desire – Does this move the needle and have a clear ROI? A common problem we see in sales, is picking the wrong segment and not realizing this until it’s too late. We encourage our SDRs to constantly optimize their outreach campaigns to avoid this mistake. It’s like asset diversification. Spend the majority of your prospecting time on what is producing results. Dial up or dial back on time spent and campaign strategies with each segment(s) until you have consistent short and long term achievement of your objectives. If you want to sell, you need to know what you’re selling and, just as important, why someone else would need it. Beyond your value proposition, you need to understand the common problems of your target customer. After completing an exercise like we outlined above, we know each segment is motivated differently, and we need to write different email campaign messaging for each and send with Replyify. Conduct research through every available avenue — from online resources to relevant industry comparisons to first-hand accounts. *Now find the decision maker’s email. It used to be that researching a prospective customer required real-life detective work. Nowadays, though, the Internet had made personal information so readily available that companies have been founded for the sole purpose of monitoring online reputations. For all the drawbacks associated with social media, when used properly, it can serve as a phenomenal tool for studying the professional and personal lives of those with whom you aspire to conduct business. Once you have your ideal customer profile (ICP) identified, it’s time to rely on readily available web based tools for in-depth analysis of your prospects. Pro Tip: Start with your BEST existing customers. Look for common attributes that could be used to find others who ‘look’ like them. You can start with the basics: Conduct a simple Google search for a broad overview, then delve into individual social media sites. Whereas Facebook will likely provide more personal-life details, LinkedIn and Twitter may offer insight into your prospects’ professional worlds. These can all be used to your advantage. It’s much easier to personalize an email or build rapport on a call when you share uncommon commonalities like having gone to the same school, members of the same fraternal organizations, have kids or have a bucket list of the same golf courses. Tool: FollowerWonk to see who follows them. Study their profile. Are there any uncommon interests you share? ps – Watch the webinar replay where we dig into prospecting & share 5 growth hacks you can try today. By entering their social landscapes, not only can you confirm whether prospective prospects truly fit your ICP, but also you can achieve an ice-breaker of sorts through a virtual introduction. Be subtle but make your presence known. Remember, you can’t go into the weeds on research for every prospect. Hedge your time investment by mixing up the amount of research you do on one segment vs. another. Experiment. This is sales hacking! Ready to get started? Here’s How to Get a Meeting with Anyone! You have 2.7 Seconds to get to the F#cking Point with your emails. There’s not much that can be accomplished in under three seconds. A spoken sentence, a sneeze, maybe even reaching in your back pocket to grab your phone. Yet according to email provider ExactTarget, people only take 2.7 seconds to decide if they will read, forward or delete a message. It’s a product of both efficiency and short attention span. In fact, by now you’ve probably already decided whether this blog post is worth your time. Your prospect’s time, like life itself, is short. Skip the BS and get right to the point with your email. A hasty decision plays right into your selling wheelhouse. 2.7 seconds to decide if your email gets deleted. 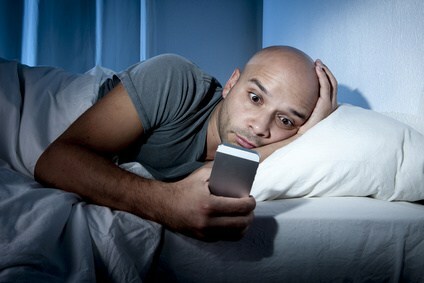 If you’re like most people, chances are you start each morning by sifting through emails on your phone (possibly with coffee in hand), getting caught up on what you missed overnight. 2.7 seconds multiplied by the number of unread emails gives you that first hit of dopamine in the morning and a sense of accomplishment before you’ve even stepped foot in the office. Creating your sales playbook (or just stealing ours – this is link to ebook) starts with recognizing cold emailing as your ally. Cold emails let you reach anyone, are easy to set up and cost you almost no time or money. They become even easier over time with templates and automation. When done correctly, this method identifies people who are truly interested in your value proposition. Within 2.7 seconds, your email reader’s mind is likely made up. You’ll learn in short order whether you have a legitimate prospect or whether you should move on to the next opportunity. No maybes or beating around the bush. Now that’s time well spent. Did you know cold emails can even trump warm referrals? 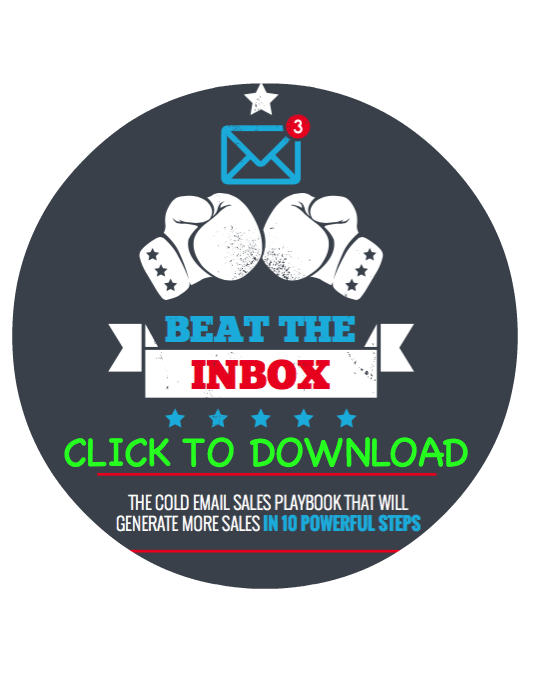 Check out SellHack’s eBook to learn why cold emailing is the key to increasing your sales pipeline. Believe me, we’ll get right to the f#cking point. You were taught many valuable lessons in school. But the ability to craft incredibly effective emails wasn’t one of them. Some of the best cold emailers I know learned their craft out of necessity. You can’t always buy your way out of a problem, especially when it comes to growing your business. Whether it’s you vs. an incumbent or you vs. other sales reps in your company, know one thing…become an effective emailer and your odds of success will go up. Since the art of cold emailing isn’t a course offered by any formal schools (at least that I know of) we’re forced to master this ever-important skill while on the job through trial-and-error. Yet, many sales emails prove to be too long and off point, leaving prospects to assume that’s what the salesperson-customer relationship will be like if they decide to engage in a follow-up or actually doing business with you. Make your email less than 90 words: Don’t forget the 2.7-second rule — the length of time it takes for a recipient to decide the fate of an email. Brevity rules the day with sales emails. Address the prospect’s pain points, explain your value proposition and press send. Use two-sentence paragraphs so your email can be scanned: While lengthy paragraphs are appropriate for some types of writing, keep email paragraphs concise. This helps ensure the content will actually be consumed rather than glossed over. Never include more than one link or attachment: While a hyperlink and supporting attachment can serve a purpose, moderation is key. Don’t let your email’s content appear cluttered and distracting. Write like you talk – skip the sales jargon: A conversational tone will put your recipient at ease. Don’t use jargon that could intimidate or confuse, and don’t talk down to your email audience. Proofread before you send: Double check all prospect names and company names. This will save you from embarrassment and prevent you from emailing in vain. Looking for more advice for improving your email writing skills? You’ve come to the right place.The remainder of SellHack’s cold email essential tips are available here in our eBook. Remember to use Replyify to automate your cold emails and follow-ups! A literal elevator pitch is crowded, uncomfortable and cluttered with noise…usually it’s you rambling about how great you are. In other words, it’s the polar opposite of your effective email pitch. Don’t be that person. Get out of the elevator pith mentality. You’ve committed to growing your business through email. So what happens next? Admit it: We’ve all shot down numerous pitches in our day, pressing the delete button without hesitation. You’ve likely said “no” to someone personally within the last day or week. Just yesterday, I hit delete on what could possibly be one of the worst emails I ever received. 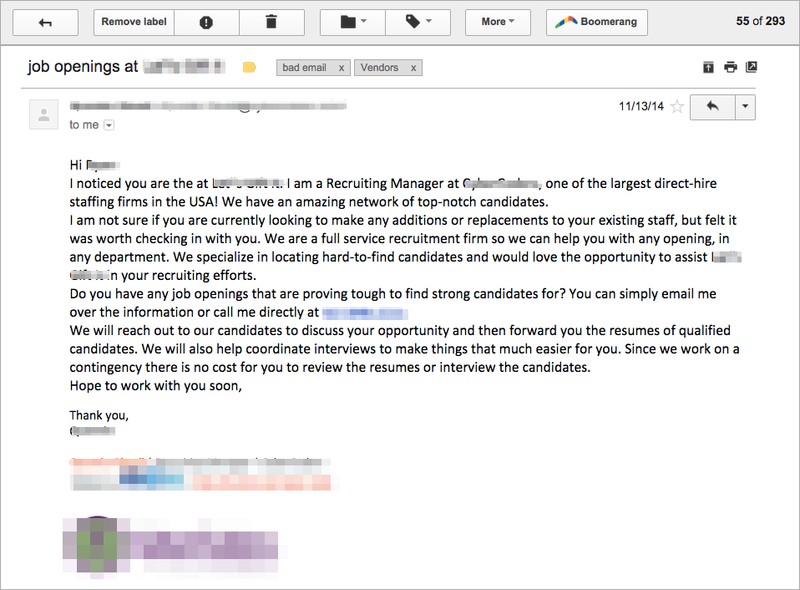 I recovered it from my spam folder and redacted the sender’s information. 1) You haven’t taken the time to learn how to write effective email copy. 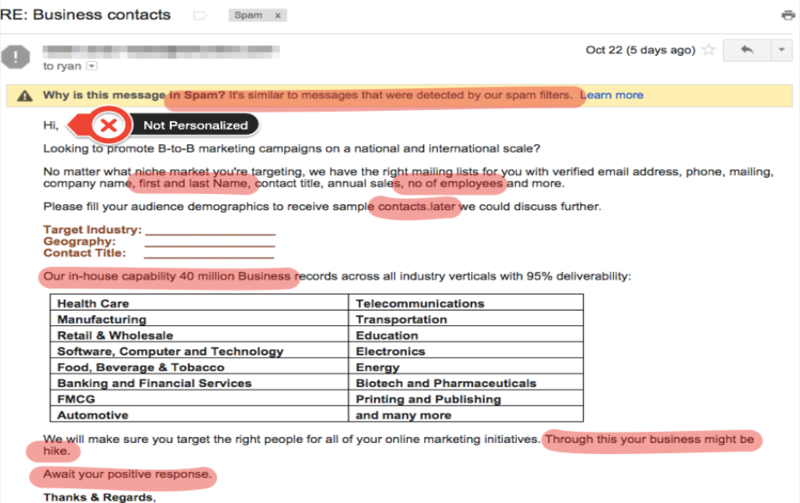 2) You’re probably a spammer because the sheer volume of emails you have to send to get a response signals you’ve done no research or personalization. 3) Since the email lacks obvious attention to detail, how could I ever trust you or pay you to be responsible for a component of my business? In order to succeed with your pitch — email or otherwise — you need a unique selling proposition that positions your company’s offering and benefits in a concise, understandable way. It’s brainstorming time. Write down the No. 1 way you help customers, what problem you solve for them and what outcome you can help them achieve. Hone your valuation proposition such that it’s more specific to a particular prospect. A spot-on pitch will evoke a perception of value from your email recipient, thereby eliciting a response and the start of what you hope is a productive sales process. It will address your prospect’s pain point while offering a call to action designed to kill the pain. If your emails are written in a way that can elicit this single thought in your prospect’s mind, you’re on the right path…a digital route that steers clear of claustrophobic elevators. When I sit down to write a cold email campaign, I like to write emails that I would respond to. A key component to convey if you want to get me to reply is that ‘there’s no better time than right now.’ Maybe prices are going up significantly or the opportunity cost of my non-action is costing me more money than what I’d be paying for a product or service you offer. When you prepare to craft your first-point-of-contact email to a prospect. Instill a sense of urgency. It’s no secret that urgency makes people act. So what is it about the offering you’re going to make to your prospect that will make them act? It might be a temporary pricing discount, it might be the ability to work with you now will put them ahead of their competition, it might be the ability to get exclusivity with you. Whatever your offering is, figure out why your prospect can’t afford to buy it six months from now instead of now. Your urgency should be matched by your persistence. How often do you intend to email or otherwise reach out to an unresponsive prospect before giving up? Most email marketers wave the white flag too soon, as research indicates many people don’t respond until the sixth time they’re contacted. Even if your individual email response rate suffers due to persistent efforts, it’s worth it to ensure an eventual close. Response rates for each email in a campaign is a vanity metric. It may help you gauge whether the A/B variant is better, or if the email should be moved up or back in your campaign, but for the most part it means nothing. Look at your response rate in aggregate. Meaning, evaluate the number of responses you received over the lifetime of the campaign compared to the number of prospects you contacted. Most of us give up to early, expecting a prospect to reply after the first attempt. But, as more and more professionals adopt a cold emailing strategy, the bar is going to get raised if you want to be effective. If you made it this far, we have a special offer for you. Get more traits of an effective sales pitch, as well as analysis of the various audiences you may encounter for pitching, read on within SellHack’s eBook. Easy enough, right? As your product matures (ie – gets better) and demand goes up, some would argue that it’s worth more. Increasing your price is where most folks start. It’s a cosmetic change to your website to add a comma or replace a low number with a higher number. This would take an average programmer a few minutes but the implications can be severe. Price too high and you risk losing price sensitive customers to your competitors who will happily take the new business you inadvertently sent them. Price too low and leave money on the table or risk that your perceived value goes down. Making this choice requires a complex economic analysis that we won’t go into on this post. 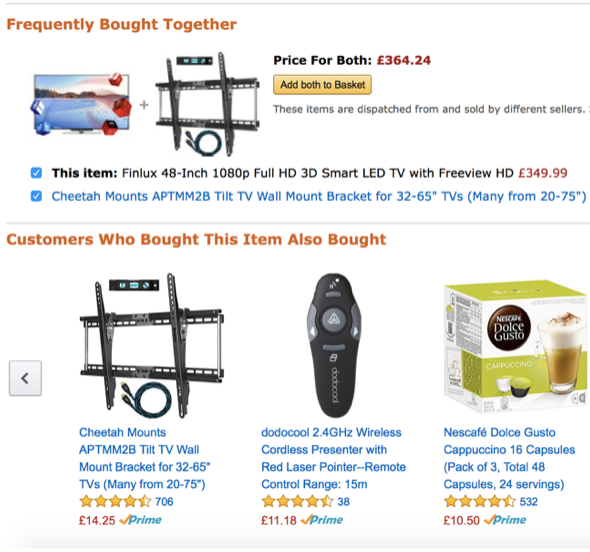 Amazon has a brilliant way to increase their price, which can also be thought of as Average Order Value (AOV). They recommend higher margin, ‘Frequently Bought Together’ add-ons but not every business has extra inventory or value added services to bundle. They effectively increase their average sale without consistently making their individual products more expensive over time and this also allows them to price lower than other retailers while continuing to grow revenue. McDonald’s can sell you a burger for $.99 with slim margins or at a loss because they make a killing offering fries and a drink both at incredibly high margins and an increase average price. Not every business has add-ons to offer as an upsell bundle. If you do, stop reading this and go test add-ons and bundling then come back and work through this post because you are still leaving money on the table. Option 2… increase the number of transactions a consumer makes over a given time period. If you sell a physical or digital product , you can increase the number of transaction by recommending your customers come back and make a repeat purchase. Flower companies offer a service to set reminders for life events, CPG companies work with grocery stores to give you coupons at checkout to come back for a discount, and speaking of grocery stores…those fuel perks your neighborhood grocery store/gas station offer are a psychological game they play with you to discount gas the more you come back and spend with them. Increasing transactions isn’t that hard for a smart marketer selling direct to consumer. But, what about B2B? If you run a monthly recurring SaaS business, increasing your number of transactions could be achieved by selling more ‘seats’ or licenses into the organizations who are already paying you money. If you can do this, stop reading this and go upsell your existing customers. Then come back and work through this post. If you can’t easily increase the number of transaction a customer makes or raising your prices isn’t an option, then it’s time to move to step 3. I know I can add more customers without making changes to the business that could have residual impacts. I know I can add more customers without getting anyone’s approval. In order to acquire more customers, I have to make first contact. At SellHack, we think email is the best way to make first contact with a prospect as long as you follow the rules. We chose emails because the alternatives just don’t scale as well. 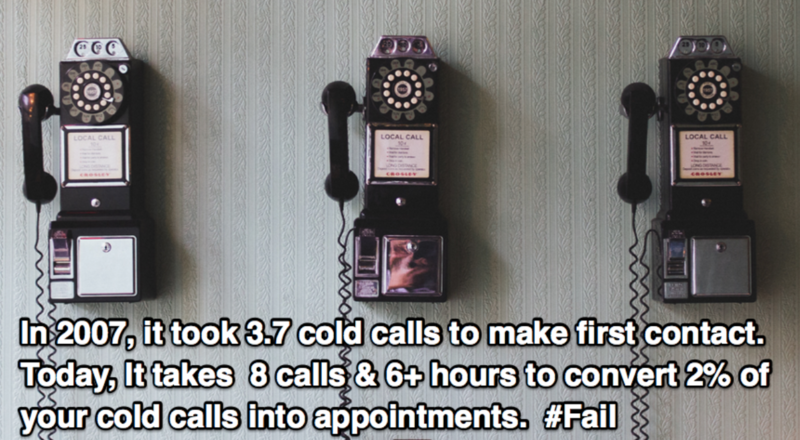 It takes 8 calls and more than 6 hours to convert 2% of your cold calls into demos. I’m not suggesting you don’t use the phone. Calling prospects is still an important part of prospecting. We use the phone, it’s just not our primary method. Phone calls are made to support our email reach out. I know that I can send 100 emails faster than I can make 100 calls. And while going door to door or dropping in on a prospect might work for some folks, in any given time period, I can’t knock on as many doors as inboxes. Several times a week, a new client will come to us and say: “Can you guys help me build a massive list of emails?” My response to them follows the logic in the exercise I’m about to share with you. I’m not saying that having a lot of prospects is a bad thing, but having the optimal number of prospects consistently in you funnel is the goal. If you sent an email to 1,000 people with a 40% meeting request rate and your sales team can’t handle scheduling meetings with 400 new leads before they go cold…you have a problem. Pick your newest customer or review this process across your 10 most recent customers acquired through outbound generate leads (ie – direct sales) not inbound (SEO, paid ads, content etc). 1) How many calls/emails were required to get to the demo or first meeting? 2) How many days passed between first contact attempt and the first call/demo/meeting? If you don’t actively manage a CRM, searching for the prospect’s email address in your inbox and scanning the results can show most of this information. 3) How much time did the sales rep spend on this deal and over what time period? * Let’s say the deal took 1 month from start to finish and took 2 hours of his time…so, the first 5 prospecting emails sent took 2 minutes to type that’s 10 minutes, the contract took 20 minutes to prepare, there was 1 30 minute qualification call, 1 hour long call, then he/she spent roughly 30 minutes per week over the month. If your account executive works 40 hour work weeks, in a perfect world, they could manage 80 engaged prospects per week since they spend 30 minutes per active deal every week. 4) What is your average positive (meaning they want to meet) response rate to a first contact attempt? 5) How many new prospects do you need to find per week to keep your sales team running optimally? *In this example, our sales team can manage 80 prospects per week and since we have a 40% response rate, we need 200 prospects per week added to the top of the funnel. 6) How long does it take to find contact information like email addresses and phone numbers for 1 prospect? We’re trying to get an accurate estimate here. 2) Run the advanced search that returns a good representation of your prospect. The first page has 10 results. Resist the urge to use SellHack. 3) For each prospect, add their first name, last name, job title, company, company domain, industry, email address and phone number to a new excel worksheet with each data point in a unique column. That sucked, right? I’m guessing this will take a 1-4 minutes per prospect. How long did each prospect take you? *Does your account executive do their own prospecting or do you have a Cold Calling 2.0 with a dedicated Sales Development Representative (SDR) or Business Development Representative (BDR) whose sole responsibility is filling the funnel and building pipeline using automation like Replyify? We’ll dig into the strategy on a future post, but for the purposes of this exercise, let’s move to the next step. 7) How much are you paying the sales exec on your team who is responsible for prospecting? 8) Next, calculate the hourly wage of your sales rep or BDR/SDR. You can use this handy tool to figure it out. *Example: At $60,000, their time is worth $1,154 per week $28.85 an hour, or $0.48 per minute. 9) Now we need to figured out your sales team’s cost to acquire a new customer (CAC). *If it takes 2 minutes to find a prospect on Linkedin, their verify email addresses, and get their other relevant information into an excel doc, you are effectively spending $1 per new prospect added to a prospect list. 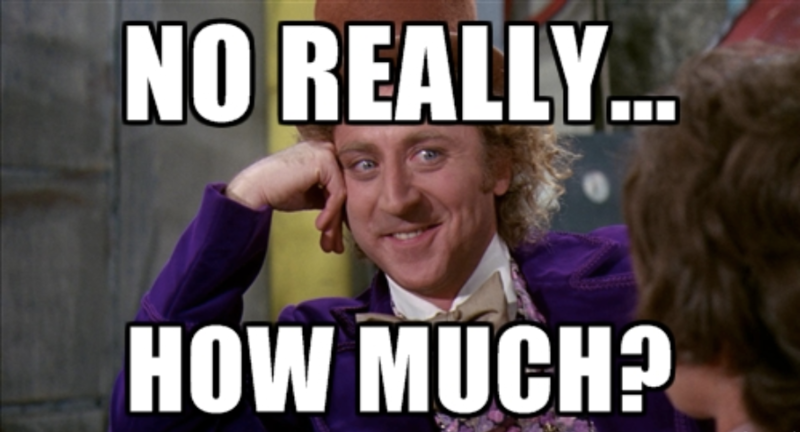 10) How much is your prospecting costing your business per sales rep? *In the examples given earlier, at 2 minutes per prospect, each account executive will cost you $800 per month ($1 x 800 prospects). If your closers are doing their own prospecting, the time the spend prospecting means they don’t have time to manage 16 less active deals per week and costing you 20% of their salary. Crazy Right?!? Now that you know the optimal number of leads each sales executive can manage per week/month and what the cost of finding leads actually is, you need to make sure your sales engine has enough leads in your pipeline. There are three ways to do this. 1) You could hire an SDR/BDR to leverage the AE’s time. A lot of companies are doing this. You still have to pay to fill the pipeline, but you may be able to hire and SDR/BDR for less than an AE and your account exec should now have more time to bring in more business. There is a lot of uncertainty here and it’s risky proposition to simply expect that paying less money (to the BDR/SDR) for the same output the account exec was producing. I’d argue any BDR/SDR worth their salt would a) rather not be in the weeds of manually building lists all day and b) have a lot more to bring to the table in the form of handling first contact responses and even managing initial qualification calls and demos. 2) Option 2, you could buy a list or outsource the list building. We’ve all done it, and it rarely works out as well as we expect. Expect to pay $.50 – $2 per contact. Not that much of a savings and in some cases much more money compared to what it was costing you to have someone on your team do this. Sometimes the lists are customizable based on your criteria, but I haven’t seen any list broker out there come close to providing the volume and attribute criteria that I can find on my own using a professional social network to search and filter results. I’m sure you’ve all gotten an email like this. And it’s just bad on so many levels. First, I found this in my spam. It’s not personalized so obviously a blast. There’s poor grammar and lack of attention to detail. Not what I want in someone sourcing my leads. Not to mention, how many other folks do you think are getting the EXACT same leads? The goal with prospecting is to find pockets of people who may not be on everyone else’s list and contacting them with a message that is targeted. When you build your own lists, the information recency and accuracy are up to the minute. You’re not relying on data that is a few weeks or a few months old. The takeaway: invest in data from the most up to date sources like Linkedin, Facebook, and Twitter. Moving on. 70.8% of execs surveyed had at least one change to their contact record last year. 3) The best way to find your target prospects and efficiently get their contact information into an actionable list is to use the right tools for the job. The cherry leads come from customized searches to find prospect segments that have a high propensity to engage in a dialogue because you solve a problem they have and their profile attributes are similar to those of your existing customers. We talk about this more in our ebook. Get it here. Once you’ve identified these unique customer segments, save your search criteria because you should be coming back to the well until you’ve exhausted reaching out to every person. The bottleneck with this approach is typically the amount of time it takes to gather all of the relevant information and find the hidden contact information. This is fixed by introducing a repeatable process assisted by technology that will create a 6,000% increase in productivity with at least a 50% cost savings compared to the next best option of buying something prepackaged or building lists manually. The numbers sound crazy, but we just did the math to figure out how much time you were spending and what it was costing you to build your own lists or buy them from someone else. 1) Remember when I asked you to examine your most recent closed-won deal? Find the decision maker’s profile on LinkedIn. Make note of their title, industry, experience, keywords in the profile and location. I talk about this in even more detail on this webinar. 2) Use these data points to run an advanced search. You’ll usually see thousands or results based on your search criteria. These are all potential buyers, but now it’s time to reach out. First you need to get their contact information. 3) If you don’t use a tool like SellHack, whoever is prospecting on your team probably build lists the wrong way by copying/pasting the search results page into excel doc. You’ll end up with something that looks like this. Yuck! 4) Then they have to format the contacts so each data point is in a unique row with the correct column attribute. 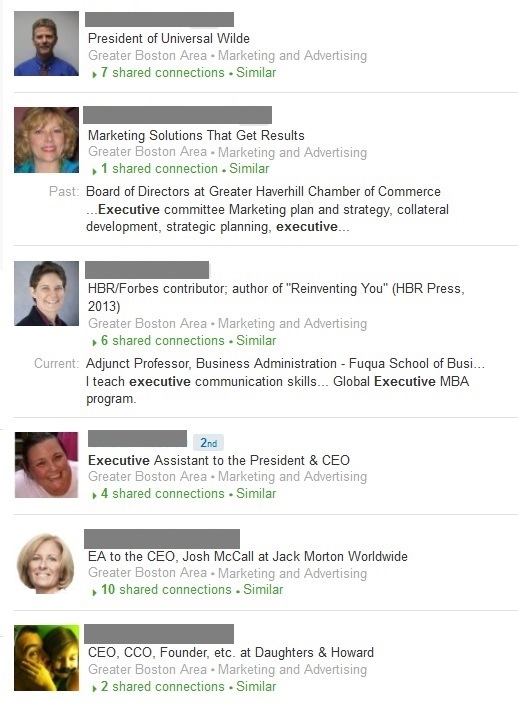 So they spend their valuable time doing even more copy/pasting until they have the data in unique columns so you can work append the contact information that you need to start reaching out. It’s not over once you formatted the raw excel doc. Now you have to find email addresses. You can guess email formats, use an email address verifier to search 1 by one, or some other inefficient task. Remember when I told you this takes 2 minutes per contact? Try it for yourself. 2 minutes was generous. I’ll bet it takes longer. 5) Smart sales teams use a tool like SellHack build prospect lists and find emails and phone numbers in as little as 2 seconds per contact. We use publicly available data to. No scraping. Think of us as an alternative to Salesloft. 6) Since you already know the optimal number of prospects each salesperson needs, you can build the right sized list and SellHack will verify emails and phone numbers in the background. You’ll end up with all the data you need, formatted nicely for an export to a CSV file or Salesforce so you can start a successful cold email or cold call outreach campaign. 7) Once exported to a CSV file or Salesforce so you can start a successful cold email or cold call outreach campaign with Replyify. Systemization of your prospecting is a critical piece to achieving predictable revenue and growing your business. We built SellHack because we had a lot of the same frustrations you and your team have. Our technology is trusted by some of the fastest growing startups and the most trusted brands from the Fortune 500. If you keep doing what you’ve been doing you are going to keep getting what you’ve been getting. 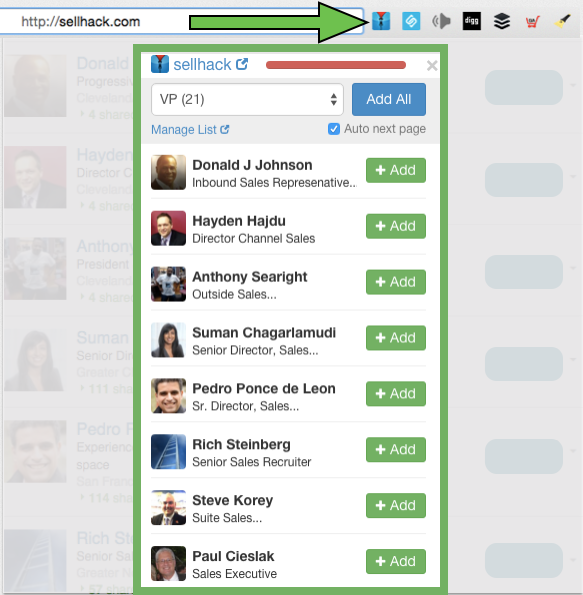 Click here to request a demo of SellHack Elite and Get your first 50 leads on us!